QUESTIONS have been asked as to the future of Cruises Street and its surrounds in Limerick after two further shops ceased trading in the pedestrianised retail zone. 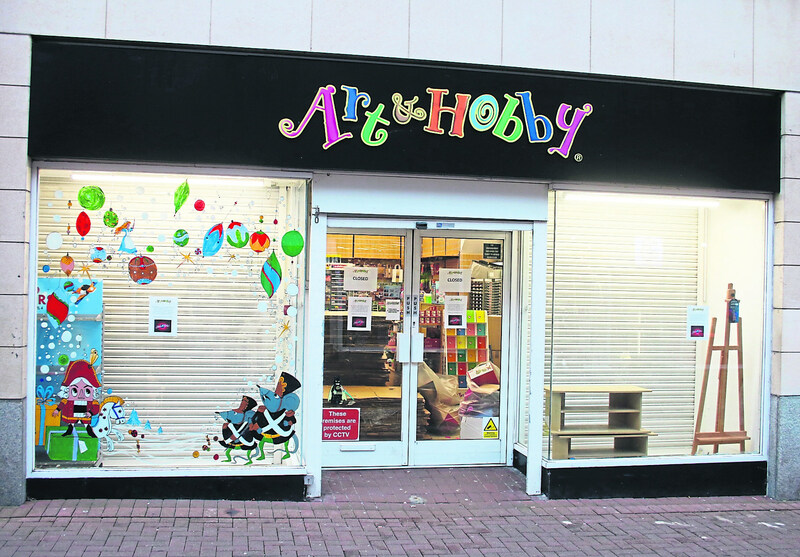 The craft shop Art and Hobby and the shoe shop Korkys, based at adjoining Chapel Lane, have both lowered the shutters this week, blaming a lack of footfall in the street, in a move which has put up to ten jobs at risk. These closures come just months after Thornton’s Chocolate ceased trading, alongside the eir shop, with Next and HMV also leaving the street in recent years. Chamber chief executive Dee Ryan says her sympathies are with the staff who have lost their jobs. But, she added, the move represents a sign of the times. “Across the developed world, what we are seeing is a complete disruption to the retail industry. This isn’t unique to Cruises Street in Limerick or Ireland. This is something which retailers are grappling with all around the developed world, where their models for business have changed. It’s a challenge, and one which we are trying to help our members address,” she said. Councillor Vivienne Crowley, who chairs the economic committee, said “from an outsiders perspective”, Cruises Street should not be suffering a lack of footfall. “It still has high street shops, big names like Costa, McDonalds and Easons. It should be a big draw. I wonder whether it is related to anti-social behaviour, people going to the Crescent, or a parking issue. What is the crux of the struggle. Unfortunately, we don’t have all the answers,” she said. There have been suggestions Cruises Street should look to change of use to allow it to survive as a viable city centre thoroughfare. Cruises Street opened in 1992, following the demolition of Cruises Hotel to make way for the thoroughfare. One of its early tenants was music shop HMV, opened by the then mayor, Jan O’Sullivan. It’s understood six people were working at Art and Hobby – which is still at the Crescent Shopping Centre – with three at Korkys.